Dr. Joshua Bruce is an Invisalign® Orthodontist, treating patients throughout the local area. Invisalign® is an excellent way to straighten your teeth, preferred over traditional metal braces by adults of all ages. If you want to improve the appearance of your smile, call (715) 972-8573 to schedule a consultation and see if Invisalign® is right for you or your loved ones. Teenagers and adults choose Invisalign® because it straightens teeth without anyone noticing that they are correcting their smile. People living in the Woodruff WI area, trust Dr. Joshua Bruce to help them achieve their smile goals in a way that is comfortable and convenient. As an Invisalign® Orthodontist, Dr. Joshua Bruce straightens teeth using a series of aligners. First, we make an impression of the patient's teeth and create a series of aligners in a dental lab. 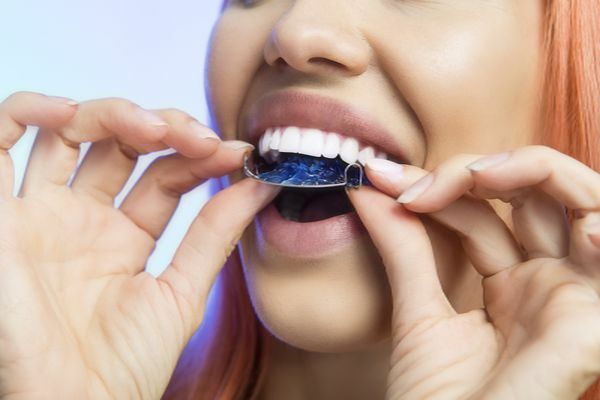 The aligners are made out of a thermoplastic material that is both strong and flexible, to help the patient feel comfortable while wearing the aligners for long periods of time. The material is nearly invisible. The aligners should be worn for 22 hours a day and switched out with the next one in the series every two weeks. Over a period of several months, the aligners will slowly move the teeth into place and make one minor adjustment at a time. Each of these adjustments is targeted to specific teeth. Thanks to the speed of the process, a patient's teeth will remain comfortable as they are moved into position. 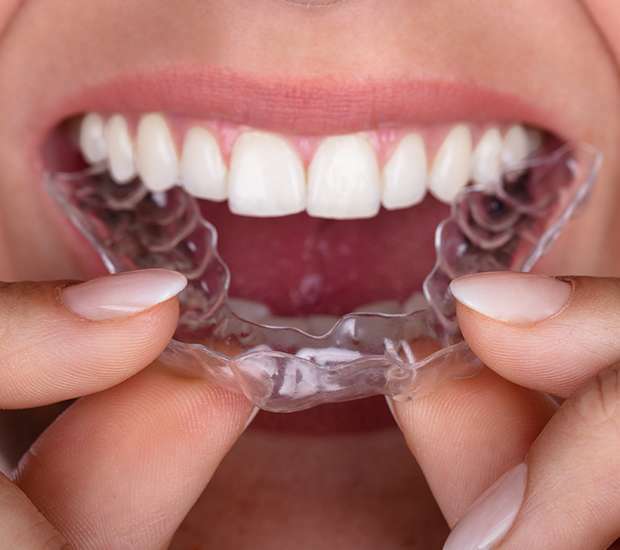 Once the patient is done wearing the aligners, he or she will have straight teeth. Patients throughout Wisconsin prefer wearing Invisalign® because of how convenient it is, compared with wearing traditional braces. Dr. Joshua Bruce recommends that patients remove their aligner and rinse it with warm water on a daily basis. You may also want to brush them with a soft toothbrush. Patients of Bruce Orthodontics will need to see Dr. Joshua Bruce for checkups to ensure that their teeth are moving like they are supposed to. Fortunately, since the aligners are made at the beginning of the procedure, these appointments are less frequent than if you were wearing metal braces. With traditional braces, a metal bracket is placed on each tooth. A wire is threaded between each bracket and held in place with rubber bands. We will need to adjust the wire on a regular basis in order to keep the teeth moving in the right direction. For each adjustment procedure, the patient will have to make frequent office visits. This can be inconvenient for people with busy schedules and a hectic life. However, any delay in appointment scheduling can prolong the timeframe that the braces need to be worn. As an Invisalign® Orthodontist, Dr. Joshua Bruce sees patients less frequently because the checkups are not to adjust anything, just to make sure that the procedure is working. This is far more convenient for patients throughout the local area. For most patients living in the Woodruff WI area, the procedure takes around twelve months. The exact timeframe will depend on your situation; only Dr. Joshua Bruce can tell you how long Invisalign® will need to be worn. Overall, the treatment time can be less than with metal braces. This is in part because you do not have to schedule appointments to keep your teeth moving. Simply put on a new aligner. Not all orthodontists offer Invisalign®. An orthodontist has to receive special training in order to provide Invisalign® to patients. With that in mind, Dr. Joshua Bruce has completed the necessary Invisalign® orthodontics training and will ensure you are given excellent treatment at his office in Wisconsin. To learn if the procedure is right for you, schedule an appointment with our Bruce Orthodontics office by calling 715-972-8573. Some people are concerned about whether or not wearing an aligner will impact their speech. Most of our Woodruff patients tell us that they have to get used to wearing aligners after the first couple of days. 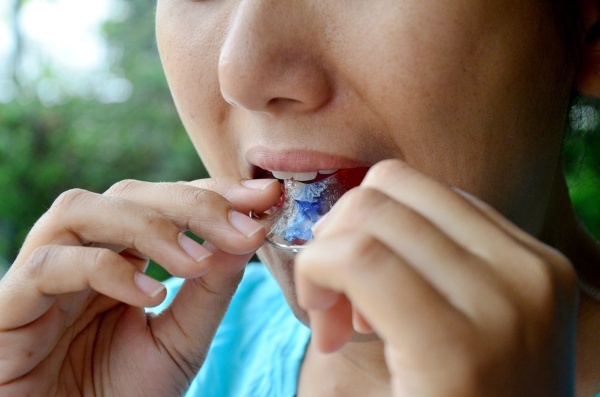 Patients may have a slight lisp that goes away once they adjust to speaking while wearing the aligners. This is standard with any orthodontic procedure. Fortunately, most people can speak normally within a couple of days. Call (715) 972-8573 and schedule a consultation with Dr. Joshua Bruce.